The 28th Ride for Sight will be held on Sunday 14th February 2016 at the Boksburg City Stadium. Dis-Chem Pharmacies are once again the naming sponsors. Our organizing partners are the City of Ekurhuleni, Springs Wheelers, Hamnet Emergency Communications, ASM Safety Consultants and Benoni Red Cross. The ride is the backbone of our funding for the patient services project at the University of Cape Town. Thank you to all those who work so hard on our behalf. Can you help? We need one more water table convener, helpers on the day and marshals. Call Linda at the national office. To enter click here . 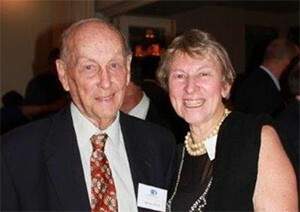 Retina South Africa celebrates 35 years of dedication to finding treatments for retinal blindness this year. 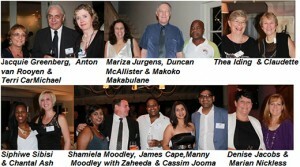 A celebratory dinner was held at Hoeveld House, Sandton on Friday 4th December. National chairman James Cape thanked all those who attended who have given years of service to the organization. Among those present were members of our SMAB, branch delegates to our NMC, Trustees, Sponsors, Ride for Sight partners from Springs Wheelers, Hamnet, Benoni Red Cross, ASM Safety Consultants, National EXCO, executives from the SANCB and Bureau for the Prevention of Blindness, staff and volunteers. Thanks to Merle and Terry McClintock who sponsored the venue, Cape Legends Wines who sponsored the wonderful Durbanville Wines and Kim for her inspired catering. Our grateful thanks to Mercure Hotel, Bedfordview for the comfortable accommodation for the out of town delegates. But mostly thank you to Alison and Derek Oborn for their sponsorship and organization of the event. 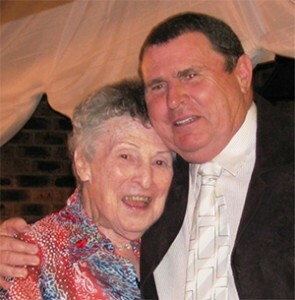 Thank you to all our supporters – we raised a magnificent R34 000. Thanks also to our partners, Fury Motor group, who made this possible. Tickets will go on sale earlier next year so be sure to order your book and make a significant contribution to our fund raising efforts. Do You Uber? This is a wonderful way to travel independently. We have partnered with Uber to offer our members a promotional code called RetinaSA which provides a first free ride! Uber is an on demand service that seamlessly connects you with a private driver at the tap of a button. Get The App or Sign In -Download the UBER mobile app (iPhone/Android/Blackberry7) or go online at m.uber.com and signup. If already signed up just login or open the application. Use Your Code- Enter the promo code “RetinaSA” (not case sensitive) while signing up or click on the Promotions tab to apply it. Then order a car with a simple tap of a button and get R120 off your first trip. Your Driver Comes To You- Don’t worry about waiting outside. The app shows you exactly where your driver is, plus you’ll get a notification when your car is arriving. If you do not have a credit card or smart phone a friend or family member can sign up and order an Uber ride for you. This is a really smart way to travel. 2 American researchers have discovered a novel way of editing DNA. See the link to Jennifer Doudna’s presentation on TED.com: https://www.youtube.com/watch?v=TdBAHexVYzc. The ethical debate about the applications of gene editing is now beginning. 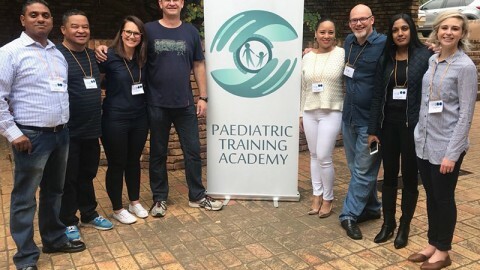 Professor Jacquie Greenberg reported to the National Management Committee [NMC] meeting held on Saturday 5th December on the Translational [Patient Services] Project at the Division of Human Genetics at the University of Cape Town. During 2015, 70 Samples were received for DNA extraction. 17 DNA samples were sent overseas for genetic testing while 11 samples were tested locally by the National Health Laboratory Service – 8 for the Quick 7 Stargardt test and 3 for Bardet Biedl Syndrome. There were positive genetic results for 17 patients and all these results have been delivered by a genetic counsellor. 197 Families stand to benefit from current clinical trials. Professor Greenberg officially retires from UCT in December but a grant from Retina South Africa will ensure her part time management of the project. She was presented with a Chairman’s Award by National Chairman James Cape in recognition of the 25 years that she has dedicated to our cause. The NMC approved a grant of R671 900 for the Patient Services Project at UCT for 2016. Professor Ramesar reported on the research projects underway at UCT including the RP13 Stem Cell Disease in a dish project, and the capture of Clinical data of 1500 patients for whom no DNA was ever submitted. Spark Therapeutics treatment for the RPE65 form of Leber Congenital Amaurosis [LCA] is set to become the first gene therapy to be approved in the USA. This is the result of many years of ground breaking retinal research from the University of Pennsylvania. Individuals with LCA experience night blindness as one of the earliest symptoms and this can deteriorate to severe vision loss. 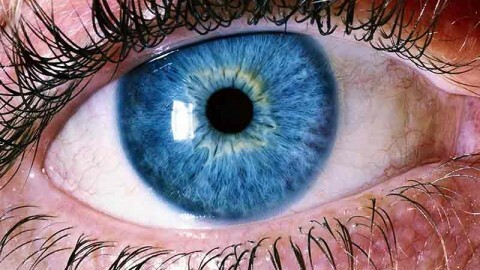 The therapy, known as SPK-RPE65, replaces the defective gene by using viruses to deliver a working copy of the RPE65 gene directly to the patient’s eye. After treatment, two thirds of individuals in the therapy group were able to successfully navigate a specially designed mobility course under very low light conditions indicating some restoration in their vision. There were no serious events during the trial related to the therapy and it is safe and well tolerated. 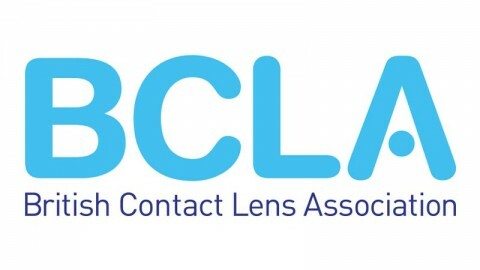 The trial also showed that participants who received the treatment also outperformed those in the control group on two secondary goals: improving light sensitivity of the eye and change in mobility test score for the first eye treated. 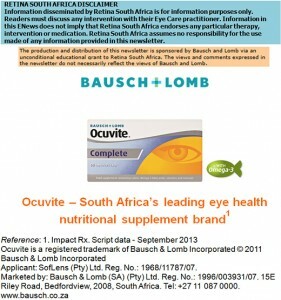 The third endpoint, which is the ability to read further on the standard eye chart did not result in a statistically significant result. Spark will now look to engage with the US drug regulators, the FDA, in order to file for approval of the therapy next year. The Annual Scientific Congress of Fighting Blindness Ireland was held in Dublin on 6 and 7 November. The scientific speakers were top class and topics included Gene Therapy and Gene delivery, Optogenetics, Pharmaceutical interventions, nano particles and Trans Corneal Electric Stimulation. Included in the program was a roundtable discussion on Patient Relevant Clinical Endpoints. Thanks to all who participated in the survey to assess what types of vision loss or restoration have the most relevance for patients. 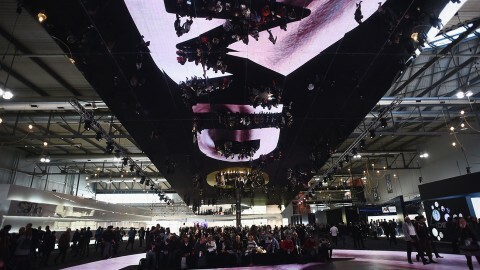 The results were presented to the meeting. 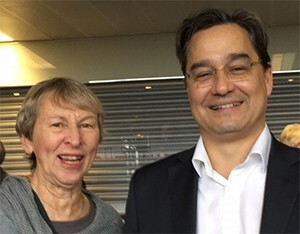 Photo: Claudette Medefindt with Professor Robin Ali at the congress. Prof Ali’s work on cell regeneration using retinal progenitor cells continues to show great promise. Professor Steven Rose from the Foundation Fighting Blindness USA urged patients to register with My Retina Tracker. This is a confidential website run by the FFB which allows researchers to identify potential patients for clinical trials. If you fit the criteria for the trial, FFB will contact you to request release of your details to the researchers. Register at www.myretinatracker.org. Thank you to SpecSavers and all the branches for participating in this awarness project. 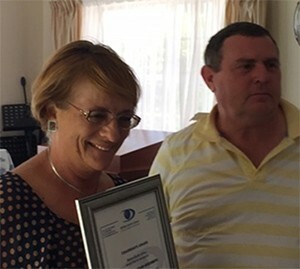 Congratulations to the Western Cape branch and in particular Merle Falken for their fantastic efforts in getting our message to the general public. Thankyou to DSTV, Prime media and other participating media outlets for airing our ads. Fund raising events held recently include:The Spring Ladies lunch to strengthen their Scholarship fund; Casual day – over 11,000 stickers were sold as well as 720 tickets for the Fury Car raffle. 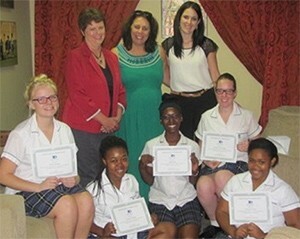 The new Youth Coordinator Ilona Swift awarded certificates to five school girls from Cornwall Hill College who fundraised for the branch. The branch has appointed Ms Amy-Louise Jooste and Mr Mkhuseli Makhathala to be in charge of Public Relations for the branch. 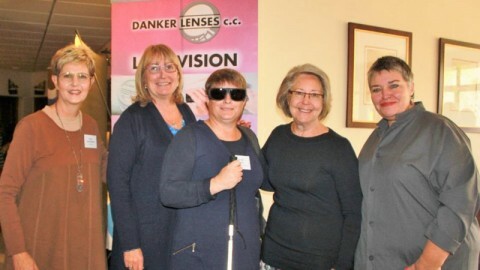 Mrs Anne Lewis is arranging a support group of sighted people with the slogan “Are You Blind to the Needs of the Blind?” She was interviewed on Pretoria FM during World Retina Week and spoke about the need for support for blind people. Employment opportunities are circulated regularly by the Disability Rights Desk. To receive these notices please email JOBS REQUEST to medefindt@intekom.co.za.